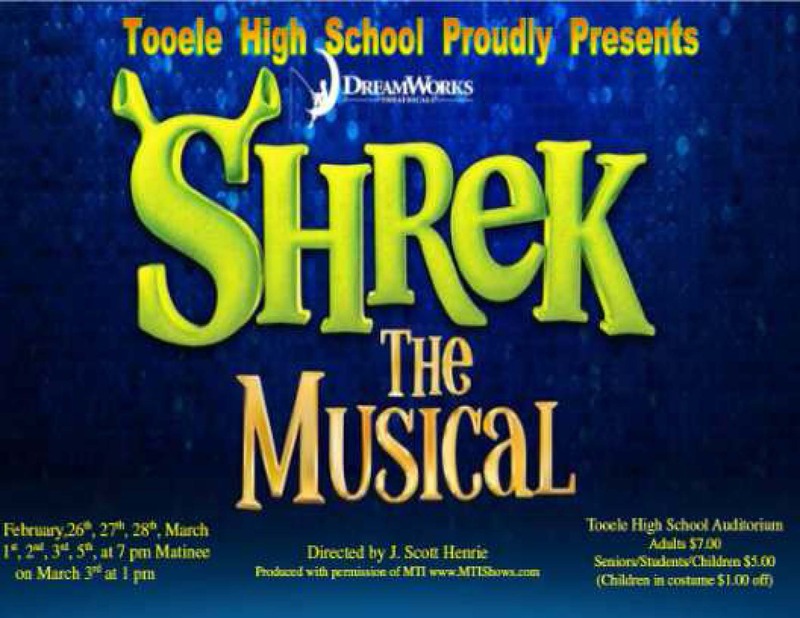 The Tooele High School Theatre Department proudly presents “Shrek The Musical”. Performances: February 26th, 27th, 28th, March 1st, 2nd , 3rd, and 5th at 7 p.m. each night. Saturday, March 3rd matinee performance at 1:00 p.m.